Lennon lives on in haunted luxury apartment building. Living in Manhattan has never been more expensive. Now rents in areas such as Soho/Tribeca, The West Village and Chelsea have always been notoriously high. But recently, prices in even the city’s least coveted neighborhoods have been ascending as well. And forget escaping to Brooklyn and Queens – fees in these boroughs have been breaking records1, leaving many to wonder if anyone can afford to live in New York at all. Well if you are a celebrity, like Yoko Ono, you sure can. 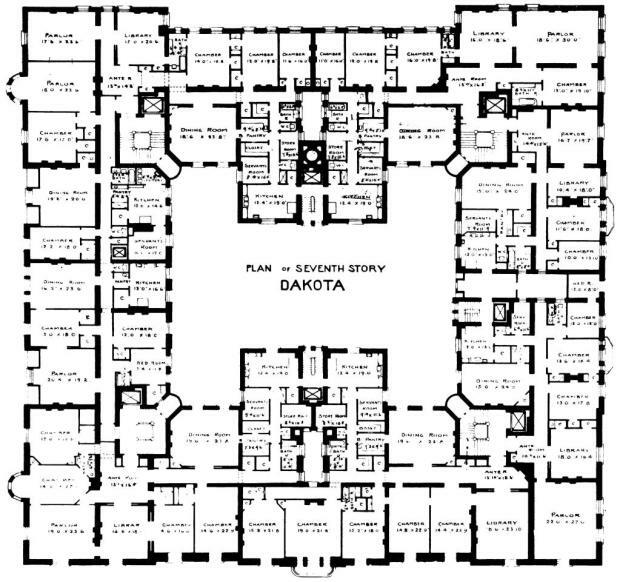 In fact, she’s been living at one of Manhattan’s first luxury apartment buildings, The Dakota, since the seventies. Now besides many famous living residents, The Dakota also has a dead one. John Lennon was shot and killed there, on December 8, 1980. Rumor has it that his spirit still haunts the complex. Some say it is because it’s where he was murdered, while others believe that he’s just reluctant to leave his wife’s side. For whatever reason, the former Beatles front man continues to make his presence known at The Dakota. Family members, friends and former band mates all claim to have been visited by Lennon2 in some shape or form. 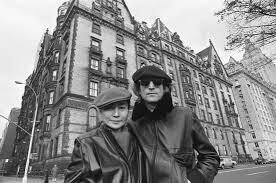 John Lennon and Yoko Ono outside of The Dakota. Inside one of The Dakota’s beautiful apartments. 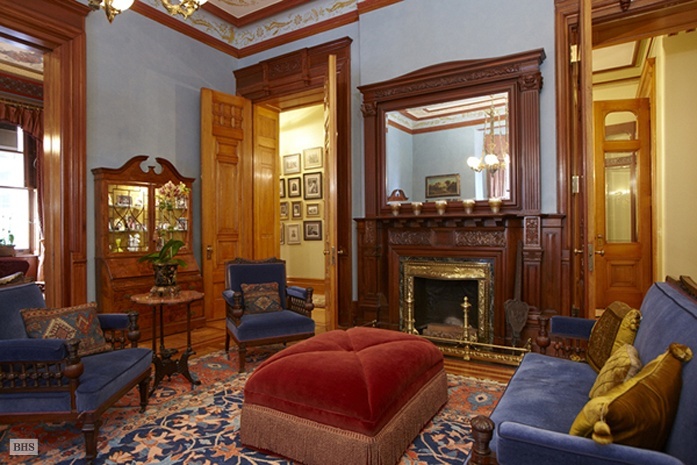 Among those lured to this lavish Victorian co-op were John Lennon and his wife Yoko Ono. In 1973, the couple moved into4 two of its seventh floor apartments. Their son Sean, who was born in 1975, spent his early childhood there. 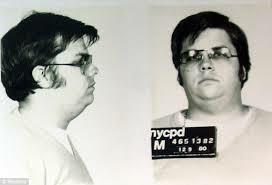 The famous brood led a low-key life at The Dakota, until the English singer was gunned down by Mark David Chapman in 1980. This history-making murder happened right under the co-op’s archway, where Chapman had planted himself such that he could see when the star’s limousine was returning from the Record Plant recording studio. He patiently waited all morning, before sealing Lennon’s fate with four fatal gunshots wounds. The seventh floor, where Lennon lived. But Lennon isn’t The Dakota’s only ghost-in-residence. Back when he was alive, Lennon told his wife that there was a “crying lady ghost”7 in their apartment, for instance. People have also spotted the apparitions of two children – a boy and girl – roaming the complex. Garbed in 1800s apparel, they must have been among The Dakota’s earliest tenants. The little girl, who’s said to be about seven, is known to greet guests and fill the hallways with her laughter. 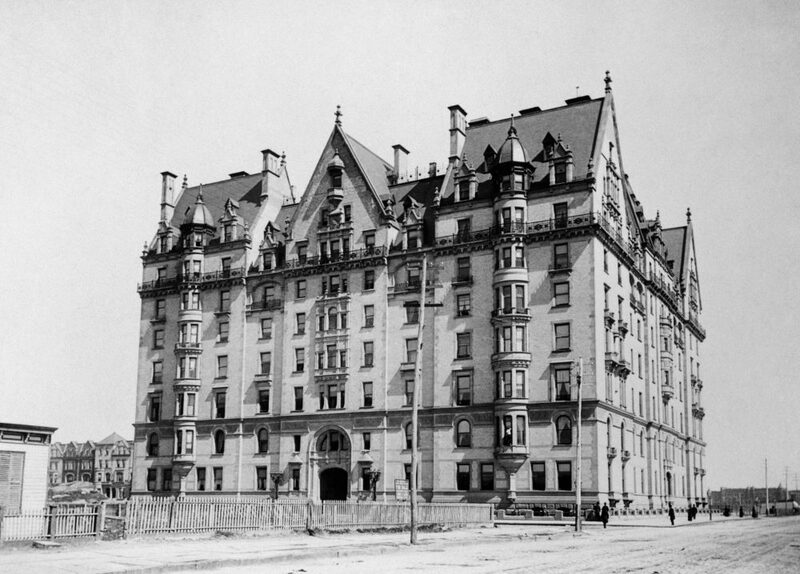 The Dakota’s lengthy roster of dead occupants and creepy exterior façade promptly got the attention of the team behind horror film Rosemary’s Baby. The movie is about Guy, a struggling young actor, and his wife, Rosemary, who move into an old New York City apartment building called The Bramford. Despite the complex’s unseemly history, the couple decides to conceive a baby there. Strange things begin to happen, leading Rosemary to suspect that her doctor and neighbors have something sinister planned for her unborn child. The Dakota was used for many exterior shots of The Bramford. Plenty of The Dakota’s design elements – including French balconies, buff brick, carved Nova Scotia trimmings, terracotta panels and iron ornamentations – struck the perfect balance between spooky and refined. Other features – such as fireproof staircases and thick, soundproof walls and floors – were constructed with tenants’ privacy and comfort in mind. 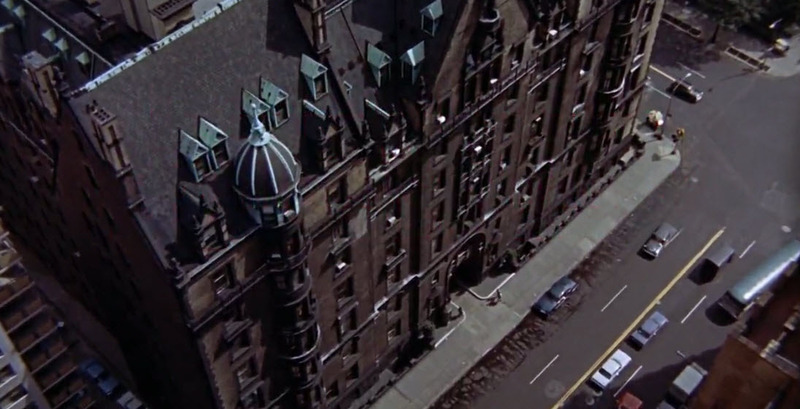 Shot of The Dakota from Rosemary’s Baby. Two other noteworthy pieces of The Dakota are its stables and interior courtyard. Its multi-story carriage house, aptly called the “Dakota Stables,” has since been transformed into its own condominium building. The courtyard initially served as a stopping ground for horse-drawn carriages. After stone fountains and awnings were added, it became the perfect place to throw grand galas and anniversary dinners. It was also the site of one of the most gruesome scenes from Rosemary’s Baby – the suicide of a recovering drug addict. The Dakota has undergone several renovations since the film’s 1968 release, with each change adding to its lavishness. When the complex first opened its doors, it had sixty-five apartments, but currently has a total of one hundred and three8. Many floors boast their own servant quarters, laundry facilities and storage rooms. A lot of The Dakota’s initial elements have been well-preserved, however. This is because it became a New York City landmark in 1969, then a National Historic Place in 1972. To carefully restore its iconic roof was thus a costly 1973 endeavor. The top of The Dakota, “shingled in slate and trimmed with copper,”9 had gotten so corroded and leaky that it had to be completely replaced. Living at The Dakota has always been like staying at a five-star resort. From clay tennis and grass croquet courts, to a well-kept rose garden, there are many things that can help tenants forget that their home is haunted. But of course, some of us, like Edward S. Clark, covet the chance to interact with the dead. 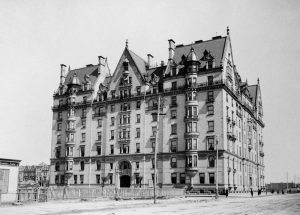 As The Dakota’s original owner, he liked to hold séances10 at the building, in hopes of communicating with the deceased. Have his supernatural sessions left portals to the afterlife open? Are they why John Lennon’s spirit can so easily make contact with his wife and friends? Many paranormal investigators are still trying to figure out what’s making The Dakota so paranormally active. If you have the chance to stop by and gain a ghostly encounter, make sure to share your story with us! Apartments at The Dakota are both lavish and well-decorated. Lastly, if you’re a Beatles-loving ghost hunter, don’t forget to pay your respects to John at the nearby Strawberry Fields memorial. You can easily walk to this landscaped section of Central Park, as its entry-way is directly across from The Dakota apartments. Perhaps on some nights, Lennon’s spirit leaves The Dakota to thank his fans, who still hold candlelit vigils at the memorial on the anniversaries of his birthday and death. Budin, Jeremiah. “Brooklyn and Queens Rents Continue to Break Records.” NY.curbed.com. 13 August 2015. Web. 27 December 2015. “John Lennon’s ghost pays son a visit.” Stuff.co.nz. 17 October 2007. Web. 27 December 2015. Haughney, Christine. 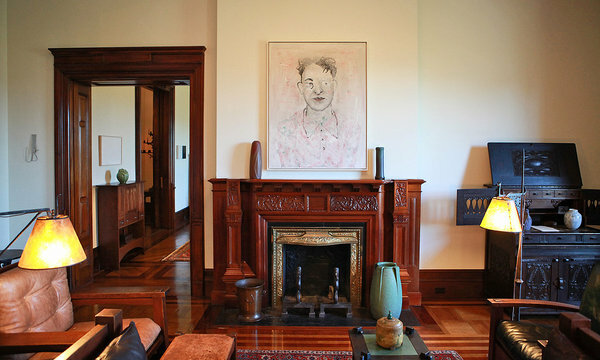 “Sharing the Dakota With John Lennon.” The New York Times. 2010 December 6. Web. 26 December 2015. Para. 5. Fowler, Brittany. “15 crazy facts about one of New York’s most exclusive buildings.” Business Insider. 17 August 2015. Web. 26 December 2015. Para. 8. Donnelly, Tim and Lindsay Putnam. “7 of the spookiest urban legends in NYC.” New York Post. 25 October 2014. Web. 26 December 2015. Para. 31. Fowler, Brittany. “15 crazy facts about one of New York’s most exclusive buildings.” Business Insider. 17 August 2015. Web. 26 December 2015. Para. 9. “The Dakota, 1 West 72nd Street.” CityReality.com, 2015. Web. 26 December 2015. Birmingham, Stephen. 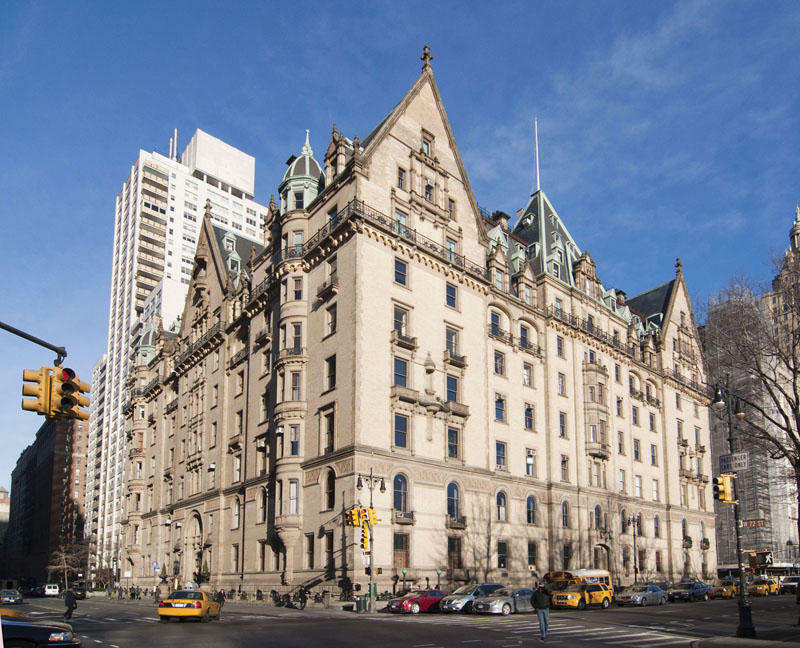 Life at the Dakota: New York’s Most Unusual Address. Syracuse: Syracuse University Press, 1996. Page 35. Donnelly, Tim and Lindsay Putnam. “7 of the spookiest urban legends in NYC.” New York Post. 25 October 2014. Web. 26 December 2015. Para. 29.